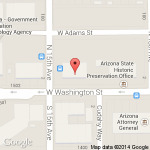 Use this directory to search licensed acupuncturists in the State of Arizona. Frequently Asked Questions about the Board, obtaining a license, and acupuncturist license status. Agendas - will be available at least 24 hours prior to the meeting on the Meetings page of this website. Licensed Acupuncturists may Attend the ENTIRE Regular Board Meeting, once in every renewal year, in order to obtain 1 CEU. Welcome to the State of Arizona Acupuncture Board of Examiners website. The site was designed with consumers and licensees in mind. The website contains a variety of information including a directory of licensees, applications, and newsletters under the publications link. Feel free to send me your comments on ways you would like to see this website improved. The mission of the Acupuncture Board of Examiners is to protect the health, safety and welfare, of the citizens of Arizona by regulating and maintaining standards of practice for acupuncture. The Board licenses and regulates acupuncturists, certifies auricular acupuncturists for detoxification or substance abuse programs, acupuncture training programs, continuing education programs and visiting professors. The Board evaluates professional competency, investigates complaints, and enforces the standards of practice for the acupuncture profession. The Board regulates the educational, clinical and clean needle technique programs approved to teach the practice of acupuncture in this state. Notices for all Board meetings are posted on the first floor of the 1740 W. Adams, Phoenix, AZ 85007 Building. Notices can also be obtained by clicking on the Board Meetings Page. Beginning July 1, 2016, all NEW acupuncture license applicants will be required to meet fingerprint requirements for licensure. Acupuncture licensees granted a license before July 1, 2016 are not subject to this new requirement. The Board is in the process of adopting rules to implement this new requirement. Please find the attached instructions to assist in this new process and contact the Board for additional details. See also announcements and newsletters under the "About" tab. A list of individuals representing themselves as Licensed Acupuncturists. The Board office should be contacted to determine if the licensee has a history of advisory letters or non-disciplinary orders.